Step by step to deal with your LG K4 LTE that won’t turn on based on the possible cause of this issue and the proper action that you can do to fix it and have your phone turn on normally and ready to use. 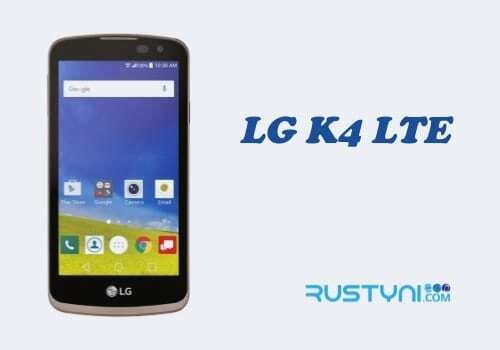 LG K4 LTE that Won’t Turn On – Out of nowhere, you find that your LG K4 LTE won’t turn on. What are you going to do about it? Now, there are several possible causes for this problem and you can address it one by one until you come up with the right one. Start it by charge the phone. Most people never turn off their phone even when they are asleep. Keeping the phone on all the time will drain its power and when it has no power, it will shut down. Charge the phone and let it be for a couple of minutes before turning it on. If charging didn’t solve the problem and you are quite sure that there is still enough battery in it, then you can try to reboot the phone. In this case, force reboot the phone by taking out the battery, press “Power button” for a minute to release trapped current, placed the battery back and turn it on. If the system is crash or if there is a minor glitch, reboot the phone will clear things up. Boot the phone into a special mode, in this case, Safe Mode and Recovery Mode will not solve the issue itself, but it will lead you to find out the cause of the problem. If you can boot the phone into Safe Mode, then you can be sure that there is a 3rd party app that wreck havoc on the system and you need to find and disable it. If you can’t boot the phone into Safe Mode, boot it to Recovery Mode. In Recovery Mode, Android interface will not be load, only the hardware part. If you can boot into Recovery Mode, then it is obvious that you got problem with the firmware, but if you can’t boot the phone here, then you got some hardware issue. Whatever the cause is, it is time to take the phone to a technician to get it fix professionally.